Orthodontics has enriched my life. It has been my career, in many ways defining who I am, for most of my adult life. Knowing that I have helped many people has given me a sense of purpose as well as great pride. I love the continuing intellectual challenge of developing the best treatment for each of my patients. As well, I enjoy the technical aspects or orthodontics - working to design and create brilliant healthy smiles. I also love connecting with so many people. My relationships with my patients are at the forefront of my orthodontic practice. 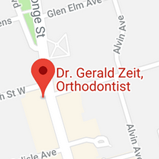 I earned my Doctor of Dental Surgery from the University of Toronto in 1983 and my Diploma in Orthodontics in 1986, receiving awards in science and oral biology along the way. 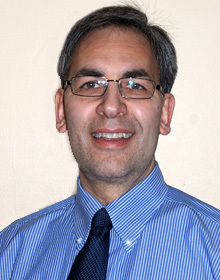 I have maintained my connection to the University of Toronto Orthodontic program through the Alumni Association, and have been on staff at the University, teaching orthodontics, during most of my career. I attend a variety of continuing education courses and programs including the Toronto Orthodontic Study Club, the Canadian Association of Orthodontics scientific sessions, American Association of Orthodontics programs and many more. The connection to the University and many other continuing education programs allows me to continue to provide excellent orthodontic care and contribute to our wonderful profession. I work collaboratively with my patients discussing all the details of their treatments with them. I believe in the right of all patients to have access to high quality oral health care. I also want everyone who enters my office to make the right choices for themselves and their children. I work with my patients to achieve beautiful and healthy smiles on their terms. I listen to all concerns and answer any questions, making sure that my patients are comfortable and confident with their treatments before beginning. I was born and raised in the city of Toronto and I am proud to call this city my home. I am happily married to Dr. Deborah Wilson, also a dentist, who practices in North York. We have two daughters who bring my wife and myself great joy and of whom I am very proud. I enjoy spending my free time amongst family and friends, playing tennis, traveling, or reading, with a particular interest in European history.